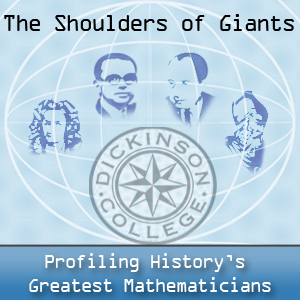 The “Shoulders of Giants” podcasts profile history’s greatest mathematicians. Podcasts recorded by Professor Dave Richeson’s “Great Theorems & Ideas in Math” class. The square root of 2 podcast written and recorded by Craig McCarthy. This entry was posted in Uncategorized on November 2, 2017 by Ryan Burke.